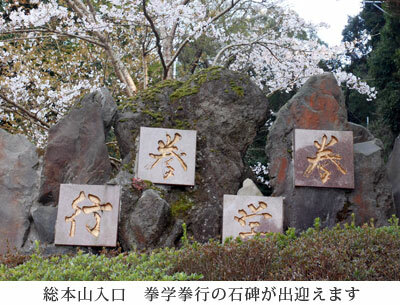 In 1964, at Hioki in Kagoshima, a monument called Kenshi-no-to was built. It was open of the headquaters of Shorinji-ryu Karate-do Federation Renshinkan. The mountain is called Kenshiga-oka, a lot of students have trained their techniques and spirit in the deep mountain and dark vallay, and learned and practiced about “form the human-being through the Karate-do” which is ideal of Shorinji-ryu Karate-do. Now, regal Do-jo, Bugaku-sha , is built, soke Iwao Tamotsu lectures exemplum and coaches techniques for coach and descendants from home and abroad, and the Bu-do spirit has been inheriting. 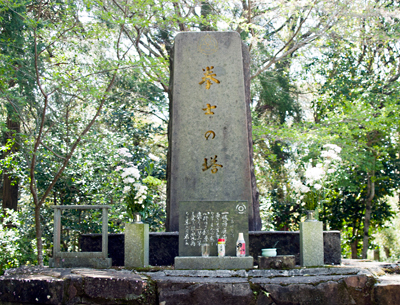 On the top of the mountain, the founder Isamu Tamotsu is enshrined as etarnal gurdian spirit of Renshinkan in shrine “Hakuryu-do” which is on side of Kenshi-no-to. 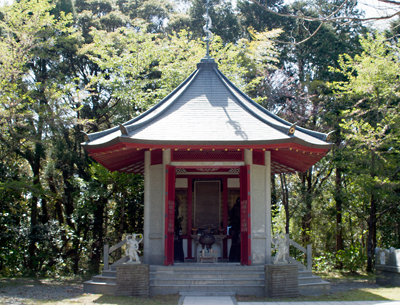 In 2006, the Seiryu-juku is completed, it is accommodation for student of Renshinkan. Around the Bugaku-sha and Seiryu-juku, the flowering trees, such as Japanese cherry and Japanese apricot, are planted, and it is one of headquater’s appeals that be able to feel the seasonal taste of nature in the quiet. The top of roof, a sai rises above toward sky, and a white dragon rises by the sai. The soul of the founder who became the white dragon is enshrined. 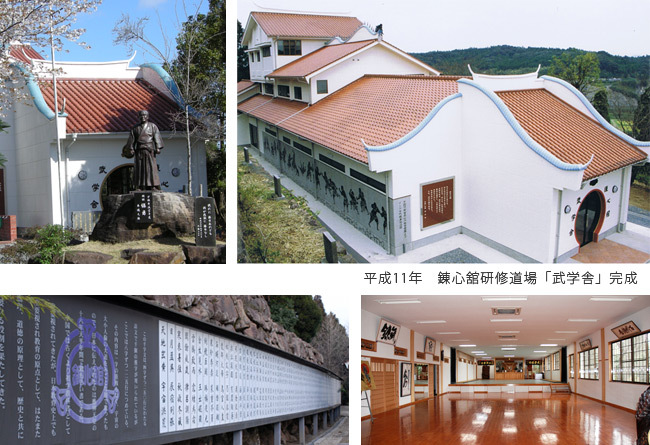 Because of it, the headquater become a mecca both in name and reality for Renshinkan. 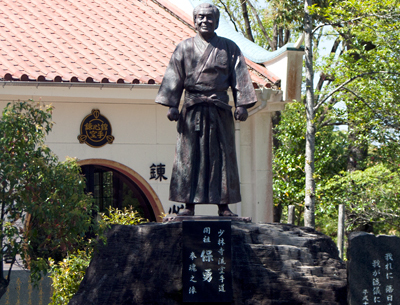 The statue of the founder (late) Isamu Tamotsu. The statue is built against the Bugakusha and is looking out over the sky of Amami where is his hometown. The regal form looks like welcoming the students who visit the headquater. This statue is built by the founder to commemorate the late martial artists who train to mastar the Karate-do and to honor the merit for society. It is on the left side of the Hakuryu-do and watch for the martial artist of Renshinkan and the world peace with soul of founder from the headquater.